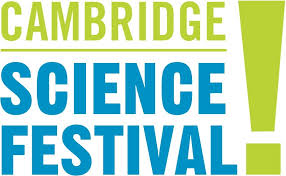 Participate in the 2016 Cambridge Science Festival! SWE Boston will be participating in the full day Science Carnival as part of the Cambridge Science Festival on April 16, in the Central Square part of Cambridge with a number of other science and engineering groups bringing their own activities. Each group will staff and equip a table with an activity for kids to try. The SWE Boston table will be building electrical circuits using Agilent's "Electronic Matching Game" kits, bristle bots, and electromagnetic motors with 200+ kids. Volunteers are welcome to stay for the full four hours or a portion of it. Be Curious! The Cambridge Science Festival is an annual celebration showcasing the leading edge in science, technology, engineering, art, and math. A multifaceted, multicultural event every spring, the CSF makes science accessible, interactive and fun! Ten days and nights of events during public school vacation week means there's something for everyone. Check out the Robot Zoo at our Family Science Carnival; "Party for the Planet" at the Franklin Park Zoo on Earth Day; tour bridges spanning from Cambridge to Boston (and wear comfortable shoes! ); laugh along with us as comedians try to guess what experts are researching in some of the more obscure scientific fields.